The toothbrush has been around for centuries, but the modern toothbrush as we really know it did not come about until 1938. 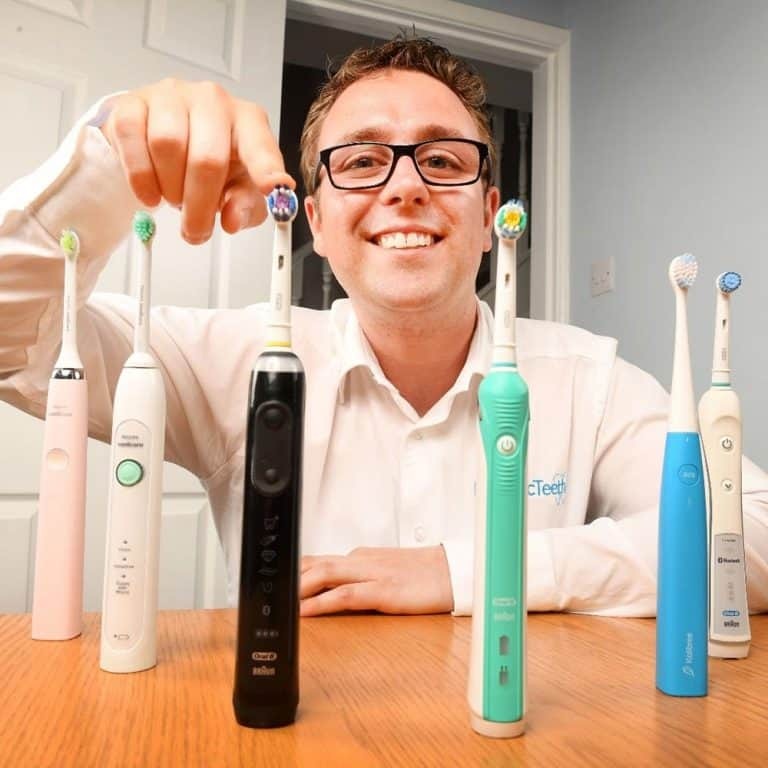 In more recent years the manual toothbrush now has a new companion, the electric toothbrush, but with all the advances in 80 years is there nothing else that competes with the nylon bristles that we are used to? Whilst the hog hair brushes of times past are not to modern taste, perhaps the introduction of silicone and rubber might well be. Silicone and rubber (or equivalents) are essentially different in their chemical makeup, but their actual brushing and implementation within dental products are essentially the same. Therefore I am classing them under one banner as a new type of bristle or alternative to nylon. Within the last few years, brushes like the ISSA from Forero in particular challenge what we know and rely upon. There are a few questions that are naturally raised as a result. I am going to answer these and let you know all you need to about the revolution that is silicone bristled toothbrushes. How to they differ from nylon bristled brushes? Most toothbrushes, be that manual or electric, use nylon bristles. The configuration of these bristles differ from one brand and brush to another, but many years of use, studies and trials have proven them to be effective at cleaning the teeth and gums. They have become the accepted default for a toothbrush today. Over the years we have learnt that, generally, softer bristles are better for your teeth and gums than the firm or hard options. Also, the way in which the bristles are cut have a bearing on how they sweep over the surfaces within the mouth; whether they are rough cut or rounded at the tip affects how they clean. The softness, the cut, position and number of bristles within a brush head, not to mention the users technique all have a bearing on how effectively they can clean and what you or I as the user experience. Silicone has fast become a popular product and is used in countless different scenarios, but it is now making its way into dental health products. To date, the main selling point that I have seen and experienced with silicone bristle brushes is the fact that the bristles themselves are supposed to be softer. In addition to this, the heads are said to need replacing less frequently as silicone is not an easy surface for bacteria to grow on (unlike nylon), and silicone considered more body safe, free of hypoallergenics, BPA and phthalates. Are they really softer than regular brush bristles? My own feelings as to how soft silicone bristles are might be different to yours. I would not deny, that to date, the silicone bristle brushes I have used have felt softer on my teeth and gums and do live up to the claims. The brushing experience is different. It is hard to explain it. There is a different sensation. Particularly when using a toothbrush like the Foreo ISSA and ISSA 2. 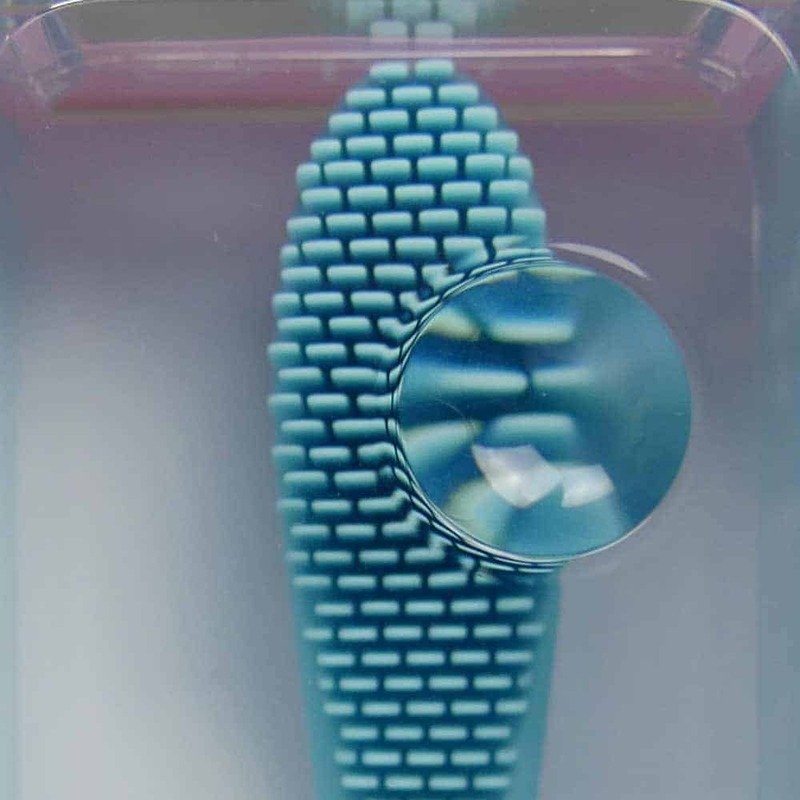 Using silicone bristles, whilst they do feel softer, the design of the bristle is quite different to that of a regular nylon bristle. Just take a look at the close-up image below. The all silicone brush head on the ISSA has a much larger profile, the tip is essentially a wedge shape, so whilst soft, the physical size offers up a slightly different sensation when brushing. Foero offer a ‘Hybrid’ brush head which has a mix of polymer and silicone bristles. The bristles are smaller and more traditionally shaped. The rubber bristles on the Boie brush, which is a manual silicone brush that we have reviewed, are much more akin to a regular toothbrush head. How good are they – do they clean as well? Over the several weeks I have used silicone or rubber bristled brushes I can’t say I have felt my oral hygiene get worse. After every clean my mouth still felt fresher than before and I noticed no significant plaque build up. The brushing experience is definitely different and compared to using my Oral-B electric toothbrush, and the clean did not feel as deep or as aggressive. It might sound odd, but I psychologically feel better after the clean from my electric toothbrush. I use the term aggressive, because this to me is the best word I can think of to describe the clean. It does not feel abrasive or hurt, but I feel my gums are worked and invigorated more with the electric motor and nylon bristles. What I did find is that the brush head on both the ISSA 2 and the Boie are larger than what I am used to and for the most part are larger than a regular manual toothbrush head. 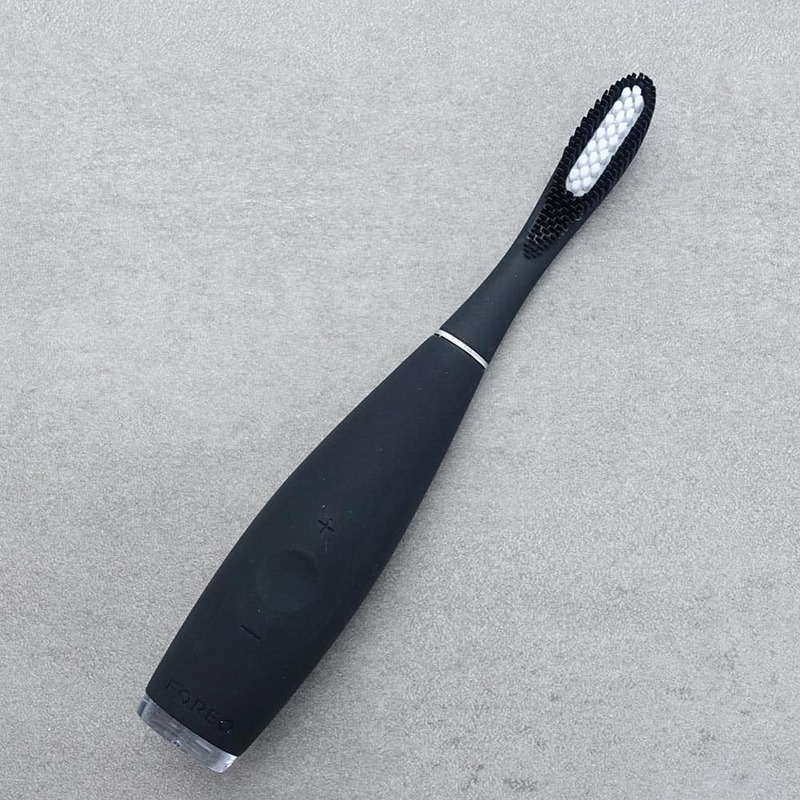 This made for a more awkward brushing experience and I did feel it was more difficult to get to and effectively clean the back teeth and tighter areas within the mouth. I have not sought the opinion of my dentist during the time I have been using such brushes. However, beauty journalist Alice Hart-Davis did. She used the Foreo ISSA for a period of 2 months in between a regular dental and hygienist appointment. In that time her plaque score (how much plaque there is on the teeth) jumped to 27 per cent, from what is normally a low 9-15. Alice admits her brushing technique may not have been perfect, but had still been flossing and brushing for 2 minutes each time. This statistic is somewhat surprising and perhaps shows they may not be quite as effective. What do the dental professionals say? There is varying opinion on these types of brushes at the moment. Most dentists that you and I will come in contact with will suggest avoiding them as at the moment they are a new type of product and are not really tried and tested. It can take many years for general dentists to change the advice they give because they often want the evidence (for good reason) to justify the change. Ultimately it is about finding a brushing tool and habit you are comfortable with and no dentist can stop you, but their advice and experience can be very helpful in understanding what is right for you and what results you see if you do opt for the rubber bristled brushes. At the time of writing, there have been a number of studies and research pieces completed into the effects of rubber and silicone bristle brushes, but none as yet have highlighted results to suggest that silicone is significantly better clinically. What is most interesting though, is that in many cases, the differences have been small with some clear cases in which the rubber or silicone bristles are just as, if not slightly more effective. Perhaps the most significant study to date is by Samuel Koo, which found the removal of dental biofilm (plaque) to be similar to a regular toothbrush. In 2016 study by Cho-hee Lee and team published by the Korean Academy of Preventive Dentistry found that rubber tipped toothbrushes were more effective in the removal of plaque and treating the early stages of gingivitis. Nienke L Hennequin-Hoenderdos (Department of Periodontology, Academic Centre for Dentistry Amsterdam (ACTA)) looked at how soft rubber interdental cleaners compared to an interdental brush on dental plaque, gingivitis and gingival abrasion. The conclusions here were that when used in combination with toothbrushing there were no statistically significant differences between the 2 interdental devices in reducing plaque and gingival inflammation. Users who had previously not completed interdental cleaning, considered the rubber bristled to be more pleasant to use and suffered fewer gingival abrasions. In another study, by Tobias K Boehm (College of Dental Medicine, Western University of Health Sciences) a comparison was made between a conventional, soft manual toothbrush and a bristle-less (small rubber cones) toothbrush in relation to the reduction of recession. Although a limited trial, Boehm and colleagues found that bristle-less brushes can be a safe alternative to conventional soft brushes in patients with gingival recession, and that they may be better at preventing additional gingival recession as they allow slight coronal expansion of the gingival margin. Of these studies completed so far, disclaimers were made in most instances to suggest that further study was required to confirm findings and prove or deny clinical significance. Despite this, what is perhaps interesting is that there was no real suggestion that silicone or rubber was worse. Do you really not have to change the brush heads as often? Foreo in particular are claiming you need only replace the brush head on an ISSA every 12 months, because the silicone does not encourage bacteria to grow like a regular nylon bristle brush. All you need do is rinse it after use. Information I have read would suggest this to be true and hold merit, but I am not aware of significant investment or study being made into the bacteria build up on a silicone brush head and how it compares to manual brushes. Boie use silver particles in the production of their brush heads to help kill and stop bacteria growth. There is some truth and evidence as to how this works as documented in Microbewiki. 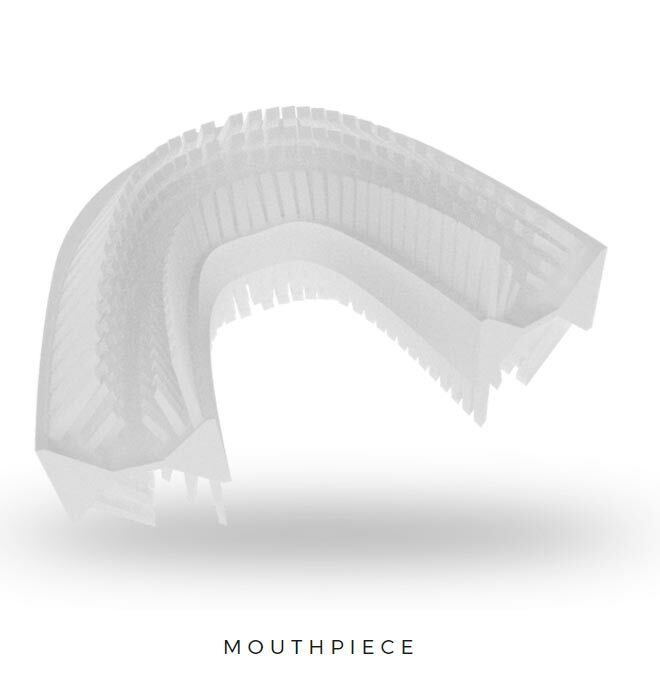 Crowdfunded mouthpiece toothbrush Amabrush also uses silicone bristles and suggest rinsing is perfectly fine. However, both Amabrush and Boie still suggest that brush head replacement take place every 3-6 months. Whilst from a bacteria perspective growth may not happen or be delayed, another consideration is the structure of the brush head and the bristles. Like a manual brush, the bristles can move and flex. Only through extended testing can the strength, reliability and structural integrity of bristles really be tested. I found that with the Boie brush, within just a matter of days the bristles seemed to have moved more than I would have expected and were out of shape in comparison to a nylon manual brush. What bearing this has on the clean and the mouth is unclear. What is the best silicone toothbrush? At present your options are limited, thus to suggest the ‘best’ is reasonably difficult. No doubt more brushes and options exist than I have personally seen or used. The 2 most talked about are Foreo toothbrush range and that from Boie. Foreo ISSA (view here on their website) and ISSA 2 (a John Lewis exclusive at the time of writing, view it here) are probably the best choices as despite the bristles being larger, they have electric motors in which bring some extra benefits. They do have a version suitable for children, the mikro (view it here). All are at the higher end of the price scale, but are innovative in their design and offer some benefits other brushes don’t. Boie (view it here on their website) is still a good option and has many positives, the environmentally friendly aspect being just one. I can by no means say the clean is bad, but it is currently sold in the USA, limiting the availability, although international shipping is offered. Whilst not proven to be significantly better in any clinical trials and test to date, evidence does suggest silicone and rubber bristled toothbrushes are as good as, if not marginally better or preferred when used. More research and testing is required, but there is evidence that they might well be worth consideration. Ultimately it is up to you as to which brush you use. You can still have a very good oral healthcare routine with silicone brushes, even if it goes against convention. In some cases silicone brushes may also be easier to recycle – Boie advertises their brush as 100% recyclable. It is still plastic, but the detachable heads are made of thermoplastic elastomer (TPE), which may make them easier to recycle than traditional manual brushes which have the nylon head attached to the toothbrush handle. For peace of mind consult your dentist or try one to see what the results are for you. I am not yet sold on them, but I am not put off. However it will be some time before I switch from my regular electric toothbrush to one of these. If you have any questions about silicone toothbrushes that I have not answered? Used one yourself and got something to say? Be sure to leave a comment below and I will will do what I can to answer you. I started using my CVS silicon manual toothbrush right after my teeth cleaning. My teeth feel much cleaner then they normally do. It seems like there is less plaque buildup than usual. I will have to wait until my next teeth cleaning in 4 months for the verdict. I like this this toothbrush so much that I ordered 12 of them on line in case they stopped selling them. I just bought a CVS silicone manual too on sale for $2.50. I will see how it goes.